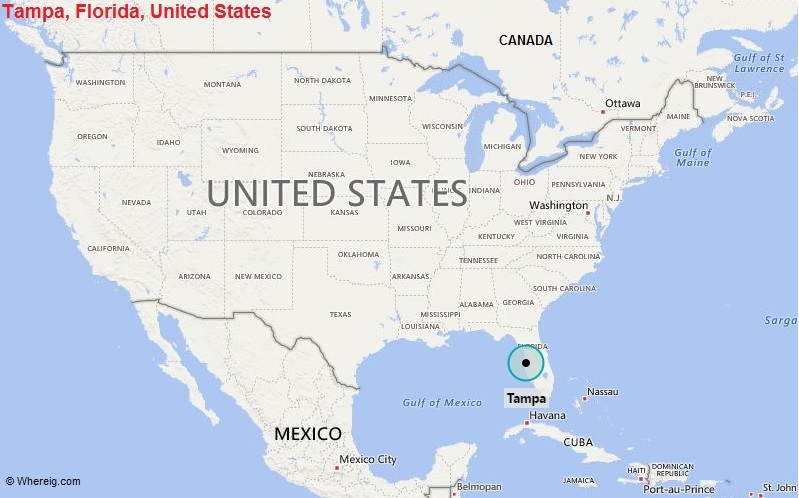 About Map: Map showing the Location of Tampa, Florida in the US. Tampa is a major city and the county seat of, Hillsborough County in Florida, United States. It is located on the west coast of Florida on Tampa Bay, near the Gulf of Mexico.